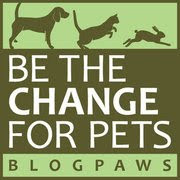 Today, the good folks at BlogPaws are celebrating the upcoming Summer Olympics with some important information about "Olympic-themed" words and phrases that might be off limits to bloggers because of trademark infringement. Don't miss this important information! 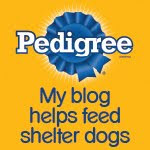 I'll bet there's info @ the BlogPaws Wordless Wednesday Pet Blogger Hop about this competition! I was shocked when I read the article about the Olympics, it's crazy, right?! But one very very lovely picture!! You're so adorable! You know, Parental Unit thinks I'm adorable, too:-) Thus all the toys I have! I think you will surely take home the gold in the multiple stuffy in mouth category! You are certainly going to win that category, Bocci! Nice job stuffin' the stuffies! Yes, I'm a favorite to win that category according to Las Vegas odds makers! Holding on to quite a few toys there.